What do you get when you combine two sisters, an obscure island, and a fancy eco-friendly hideaway? An awesome sisters getaway, that's what! When a boutique hotel on Little Corn Island ed me earlier this year about a potential media trip, my interest was immediately piqued. 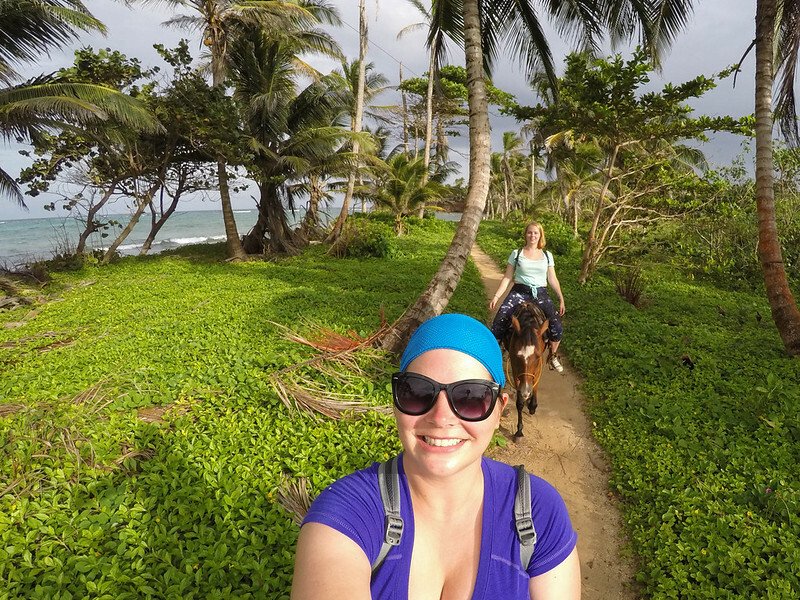 Along with knowing that Little Corn Island off the coast of Nicaragua is a little tricky to get to, I also knew that it's a place that people fall head over heels in love with. And once they told me about their new all-inclusive packages and gave the okay for me to bring a -one, I was all in. Having taken my mom to the UK last year and my dad to Africa this year, it was finally time for a trip with my sister! Now, I would not call myself a “beach person.” I hate slathering on sunscreen, I turn into a sweat monster when it's hot out, and laying out on a sandy stretch of beach is never something I've enjoyed. But as soon as Melissa and I arrived at the Yemaya Island Hideaway & Spa on Little Corn Island, I knew immediately that this was going to be a beach vacation I was going to love. My sister and I ended up choosing Yemaya's “Island Getaway” package*, a two-person all-inclusive package which included accommodation, transport, food, and all sorts of beachy activities over the span of about 4 days. *This package is no longer offered, but you can check their site for current all-inclusive deals. If you aren't familiar with Little Corn Island, let me give you a brief overview: It's located about 40 miles off the east coast of Nicaragua in the Caribbean Sea. The island is just over 1 square mile, and there are no roads or motorized vehicles beyond boats. To get there, you have to fly first to Big Corn Island, and then take a boat over to Little Corn. In short, it's not the easiest place to get to and doesn't see a ton of tourists. Melissa and I were both convinced that going to a small, secluded island like Little Corn for four days would mean lots of time for hammock naps, paddleboarding, and reading, but the time absolutely flew by! 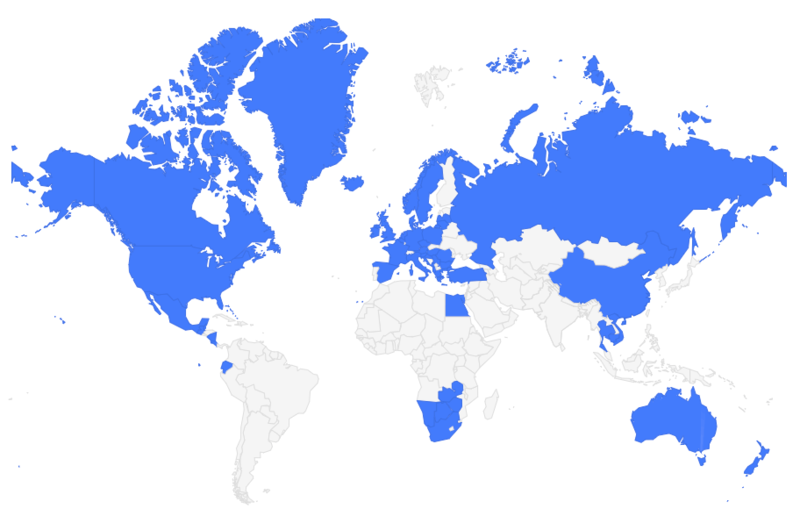 Here's a look at what we got up to. Despite the steamy weather (I swear it was like 100% humidity every single day), the first thing we did upon arrival to Little Corn was put on swimsuits and go on a long walk on the beach. The turquoise water, towering palm trees, and secluded feel of the beaches on the north part of the island where Yemaya is situated were picture-perfect. Needless to say, it was the first of many beach walks during our stay. Yemaya Island Hideaway offers up a handful of water sports that guests can try free of charge any time of day. You can grab paddleboards, kayaks, and snorkeling gear from a shed down by the beach bar and explore at your leisure. We had planned to try out everything, but ran out of time for kayaking. We loved the paddleboarding, though! Snorkeling near the hotel is pretty good (thanks mostly to the super-clear water), but if you want some better snorkeling in Kool-Aid-colored water, you have to go out to the reef that surrounds part of the island. We went out on a traditional Miskito sailboat (read: still absolutely traditional without any sort of motor) and had fun swimming over coral and spotting things like sharks and sting rays. Does anyone know what this is? I have no clue! The only downside was that we went out on a day without much wind, meaning it was tough for our crew to get the boat to do anything. 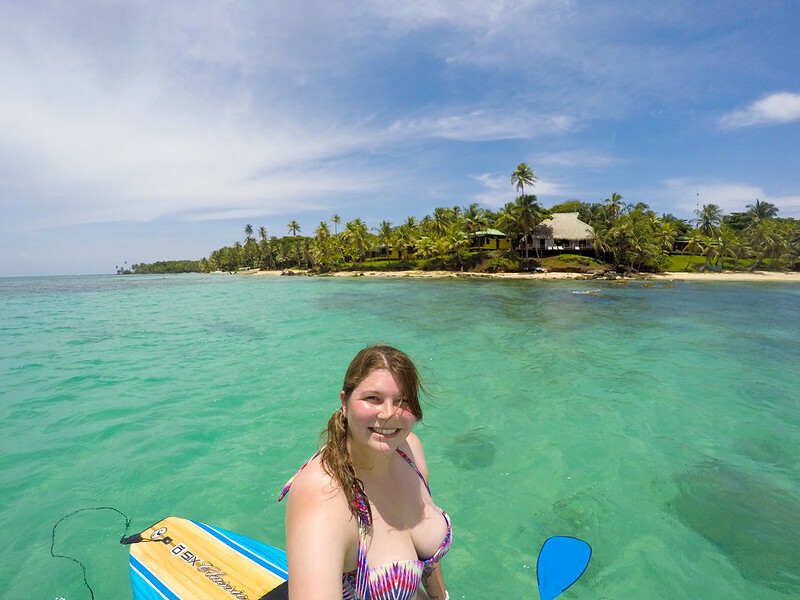 We had to get towed out to the reef by Yemaya's speedboat, and ended up getting back to shore by one of the crew members paddling us back with a kayak paddle! Those sails unfortunately did nothing! 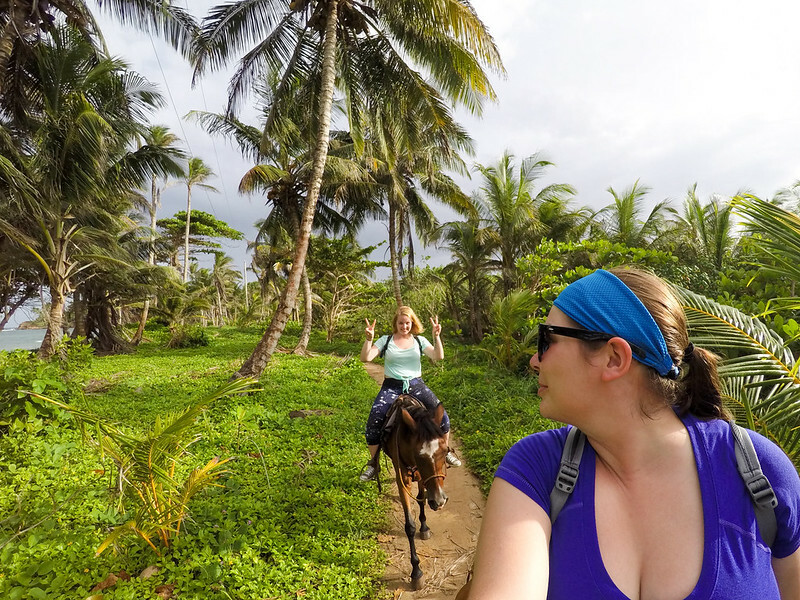 Another highlight was going on a horseback riding tour of the island. Since there are no roads or cars on Little Corn, getting around on horseback is actually a great mode of transport. 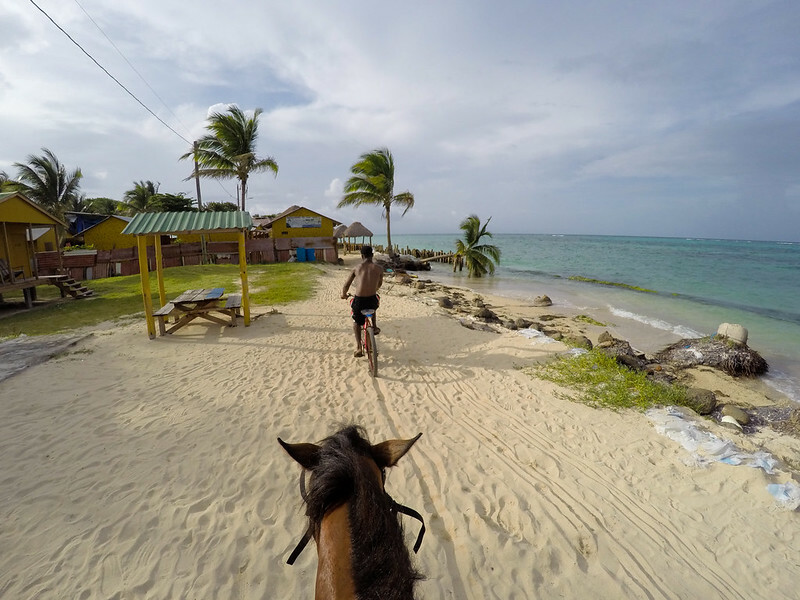 We spent about 2 hours out with Henry, one of Yemaya's cooks, and two of his horses who knew the island better than Henry probably did. We rode through the jungle to the main town on Little Corn, past little homesteads, and eventually along the beach and through the surf. This is the only photo I have of us on the beach because after this I was having too much fun splashing through the water! And, of course, we enjoyed Yemaya Island Hideaway & Spa as thoroughly as we could. This is one of the only luxury properties on Little Corn Island, and yet it's luxurious in a completely unpretentious way. You could see the luxury touches in things like the roomy oceanfront cabanas and the way the staff manicured the beach every morning. But unlike some other luxury properties I've had the pleasure of staying at, I never felt out of place at Yemaya; never felt like I didn't belong. I was also excited to learn about Yemaya's efforts to be as sustainable as possible. They catch rainwater to use in their showers, grow their own organic fruits, veggies, and herbs in their on-site garden and greenhouse, and serve a lot of fresh, local seafood. The spa at Yemaya uses local ingredients and products (like coconut oil and aloe), too, to help nurture small businesses within the Little Corn community. And they also employ a lot of people from Little Corn Island, which is one of the pillars of sustainability that often gets overlooked – the economic impact. I was actually really excited to be working with such a cool property. Pancake breakfast with fresh fruit – YUM! Melissa and I spent time lounging in beachside hammocks, swimming, sipping fresh-squeezed passionfruit juice (my favorite!) and smoothies, and hanging out on the swings at the Driftwood Beach Bar. Melissa even went to a few free yoga classes. And, of course, I spent time taking plenty of photos. Okay, so how much is it? 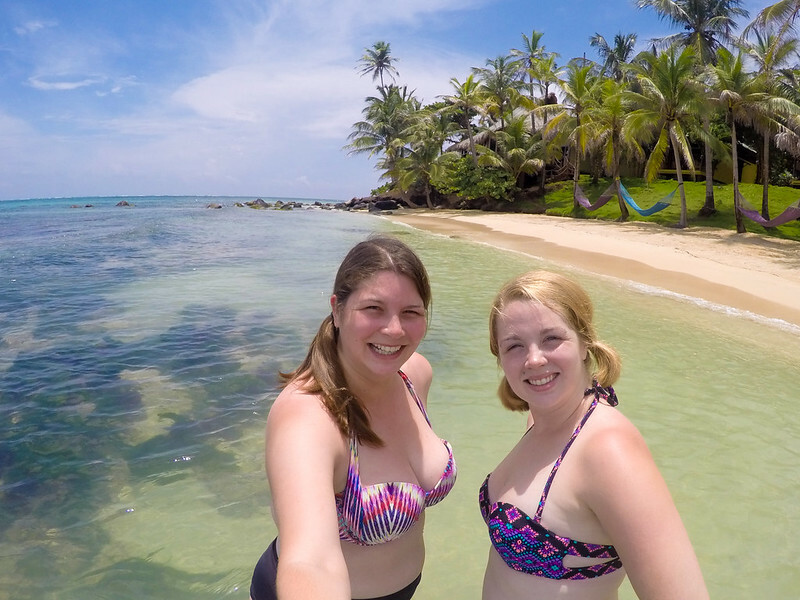 After spending 4 days at Yemaya Island Hideaway on Little Corn Island, I think it would make an incredible honeymoon destination – but is also great for a sisters/girls getaway. Like I mentioned earlier, my sister and I were booked on one of Yemaya's all-inclusive packages. The package we had is no longer available, but Yemaya offers a few different options depending on your budget. 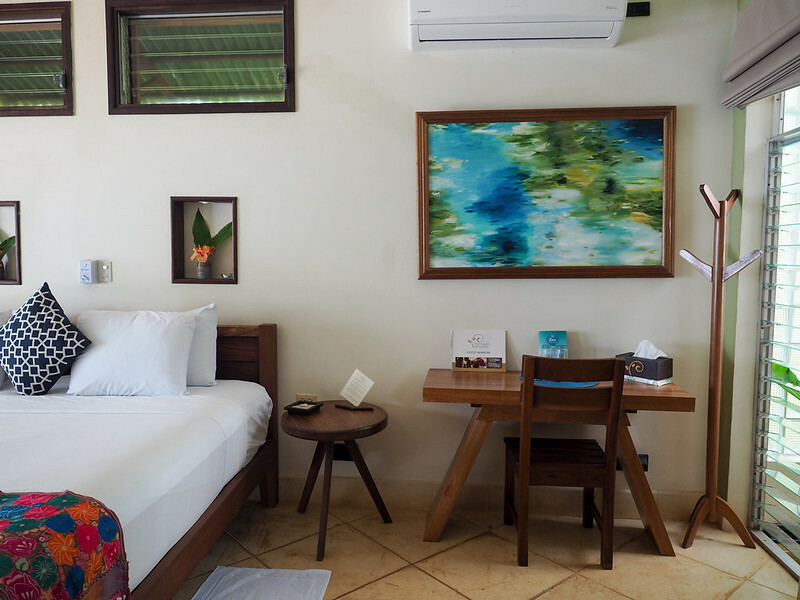 There are (as of late 2018) two types of rooms at Yemaya: Oceanfront Suites and Oceanfront Suites with private plunge pools. 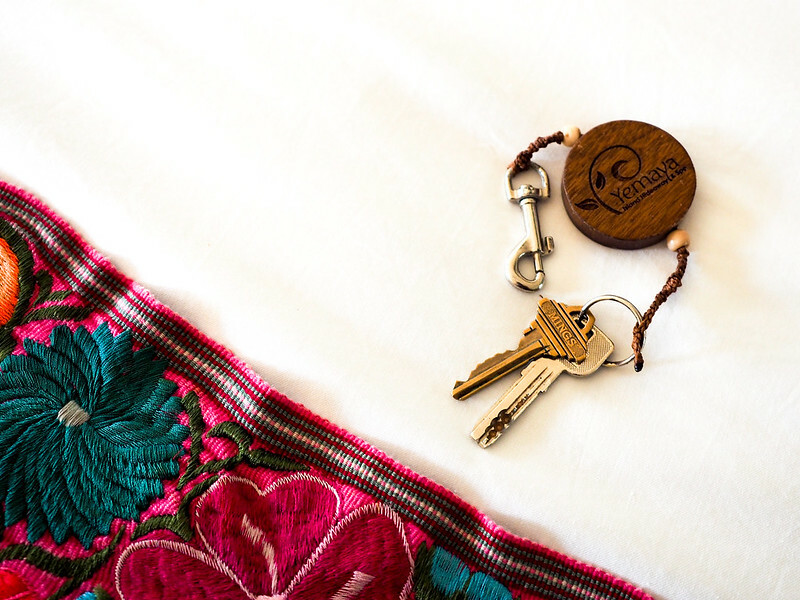 For each room type, you can choose an “Essentials, “Deluxe,” or “Premium” package, with the Premium package being fully all-inclusive. The Premium package for a regular Oceanfront Suite runs $200 per person per night, while a suite with a plunge pool runs $250 per person per night. I actually think this is a pretty great deal for staying in such a beautiful slice of paradise. Can you find cheaper accommodation on Little Corn Island? Absolutely. There are plenty of beachy bungalows and hostels that are way cheaper – but you won't find anywhere as nice as Yemaya elsewhere on the island. If you're just visiting Little Corn as part of a larger trip around Central America, then Yemaya might not be the best place for you. But if you're looking for an upscale spot to spend a relaxing vacation, you should definitely check it out! Interested in a trip like this for yourself and a loved one? Here are my top tips. GETTING THERE: You'll want to fly into Managua the night before you want to head over to the island. My sister and I got roundtrip flights from Ohio for about $500, which is pretty reasonable! We stayed overnight at the on both sides of our island trip, which is a nice hotel with a restaurant and free airport shuttle. We stayed in Managua overnight, and flew to Big Corn Island the next morning on La Costena airlines. These are small planes, and the flight from Managua takes anywhere from 1 to 1.5 hours. Once you get to Big Corn, you'll need to grab a taxi to the boat dock, and catch a boat to Little Corn. If you're staying at Yemaya, someone can help you arrange most of these things – they also offer a private boat transfer from Big Corn. WHEN TO GO: The Corn Islands are in the Caribbean, which means there are two main seasons: a “rainy” season and a “dry” season. Dry season (which is also high season) is December-April, while rainy season runs May-November. Melissa and I went in early August, which was firmly within rainy season. And while it DID rain every day we were on Little Corn, we also had plenty of hours of sunshine, too. If you don't mind a high chance of rain, going during the off-season will likely save you money! Swimsuits and swimsuit coverups – Because, duh, you're going to spend a ton of time in the water and on the beach! I hardly ever wore “real” clothes on the island during the day. – The sun is NO JOKE here. And when you combine it with high humidity, you definitely need good sunscreen (and don't forget to reapply!). A filled with books – There aren't any TVs at Yemaya, and the wifi in the restaurant can be very hit or miss. So make sure to have plenty of reading material! DO I NEED TO KNOW SPANISH? While Spanish is the main language spoken in Nicaragua, you don't necessarily need any Spanish on the Corn Islands. Here, people generally speak English as their first language, along with Spanish, Miskito (a native language), and other Caribbean/Creole languages and dialects. Try to learn a few Miskito or Creole words while you're there! WHAT CURRENCY DO THEY USE? Nicaragua uses the Cordoba, but US dollars in good condition are also widely accepted – including on the Corn Islands. Little Corn has no ATM, though, and not everywhere will take a credit card. So if you're staying somewhere other than Yemaya, be sure to have cash on you! Would you ever book a luxury trip like this to Little Corn Island? *Note: I was a guest of Yemaya Island Hideaway during my time on Little Corn Island, but all opinions are 100% my own. This was one of my favorite tropical trips to date! 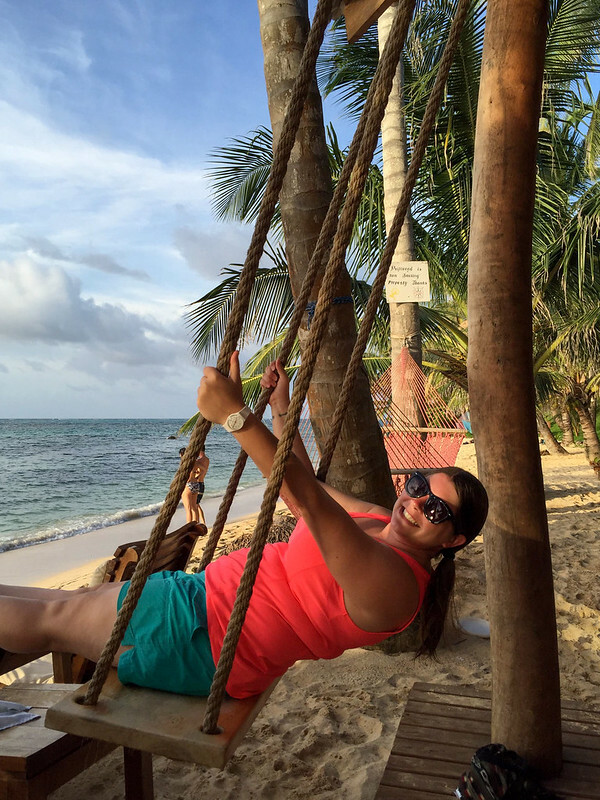 I’ve heard how breathtaking Little Corn Island is, and your photos prove that correct! Everything looks beautiful! And I have no idea what that animal is, it kinda looks like a snail eating a starfish, or the other way around. It was so much prettier than I ever expected it to be in real life! The color of the water was constantly taking my breath away (and making me pull out my camera!). I wish I would have had more time to explore more of Nicaragua! I’ve heard such great things about a lot of places there. I’ll definitely be back! Wow that place is stunning!! I’ve heard about Little Corn Island before but I never realized it looks so beautiful! Diving there would be an absolute treat! It’s so gorgeous – probably at least partially because not many people go there! And I’ve heard the diving is very good (though admittedly I only went snorkeling!). Looks awesome…definitely added it to my list of places to visit with the wife. Seems a bit tougher to get to obviously, but worth it in the end for the seclusion. Definitely worth it, especially if you’re going for a special occasion! The locale and service and laid-back feel of this place is hard to beat! Fantastic photo’s! They make me want to book the next flight and boat to the island 🙂 I am curious about the food – did you try any local dished that you really liked or would recommend? Other than rice and beans and fried plantains (which I LOVE), we didn’t have too much other “traditional” food at Yemaya. But lots of seafood – I had seafood every single day! I tried conch for the first time, which was better than I expected it to be. Wonderful! It’s nice you got the invite to spend time there and it sure looked like something you shouldn’t have missed. Love the practical tips you included, by the way. Thanks, Dave! I’m definitely glad we went – it was a special trip! This is amazing, Akatuki! I’ve been drooling over Yemaya since they opened and hope to get there myself someday. Great to hear about their commitments to sustainability, and all the fun perks like free yoga and paddleboarding. In spite of the rain you got some gorgeous photos. And SO jealous of your sissy time. I can never get enough of it! You would LOVE this place, Alex! You can even go wandering through their gardens and everything, which is cool. It’s great to see a place like this being successful! And yes, the sissy time was great! Super dreamy! Is there diving there, do you know? There wasn’t any diving offered at Yemaya (only snorkeling), though I do believe there IS diving because I remember passing a shop in town that was advertising PADI courses! Unbelievable beauty. This place must be the heaven itself. I see from your photos how nicely you enjoyed it! A great holiday. It was amazing! I would definitely go back again.